At Breathing Air Systems Eng Ltd all of our staff are fully trained on A.S.S.E.T., S.I.T.A and I.D.E.S.T. 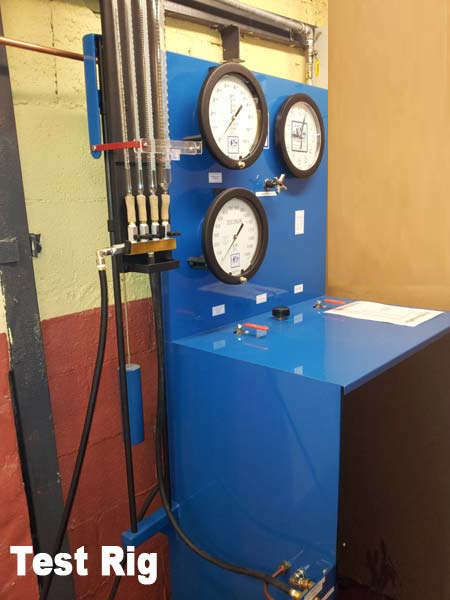 approved courses for cylinder testing and work on high pressure compressors. We are an I.D.E.S.T approved test house, registered number 7N. We can carry out inspections and testing of all types of steel, composite and aluminium cylinders to European Standards EN1968 EN ISO 11623 and EN 1802. 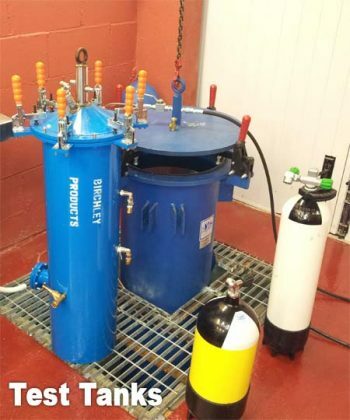 We use the latest Hydro Test Products Hydrostatic Water Jacket Cylinder test unit with two water jackets to 10,000 psi/ 690 bar and we can test cylinders up to 72” x 18”. Inspection and maintenance of cylinder valves. Periodic inspection and visual inspection of Scuba and Seba Cylinders. Refilling of compressed air cylinders. Breathing air purity analysis testing. 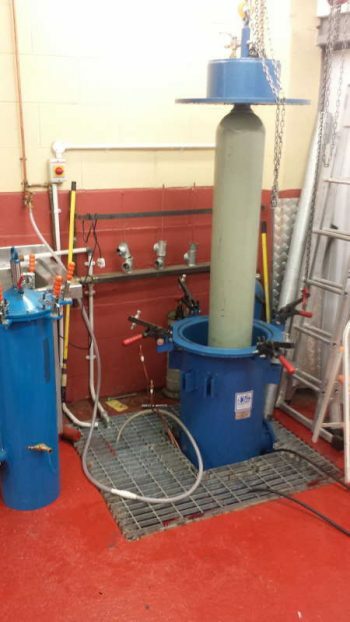 Hydrostatic test procedure for pressure vessels – scuba tank testing.